Since I was probably early teens, I have dyed my eyebrows. My Mam and Grandma are both cursed with thin sparse eyebrows, it’s not from over plucking, this is just how much we have. I think I could dye my brows at home with my eyes shut on auto pilot. 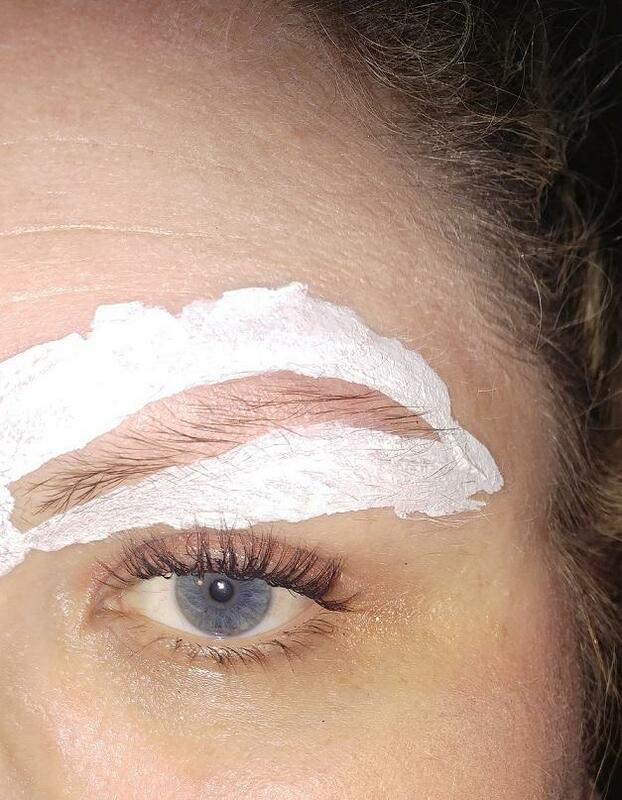 You might have noticed the Instagram Eyebrow trends building speed on your Insta feed. 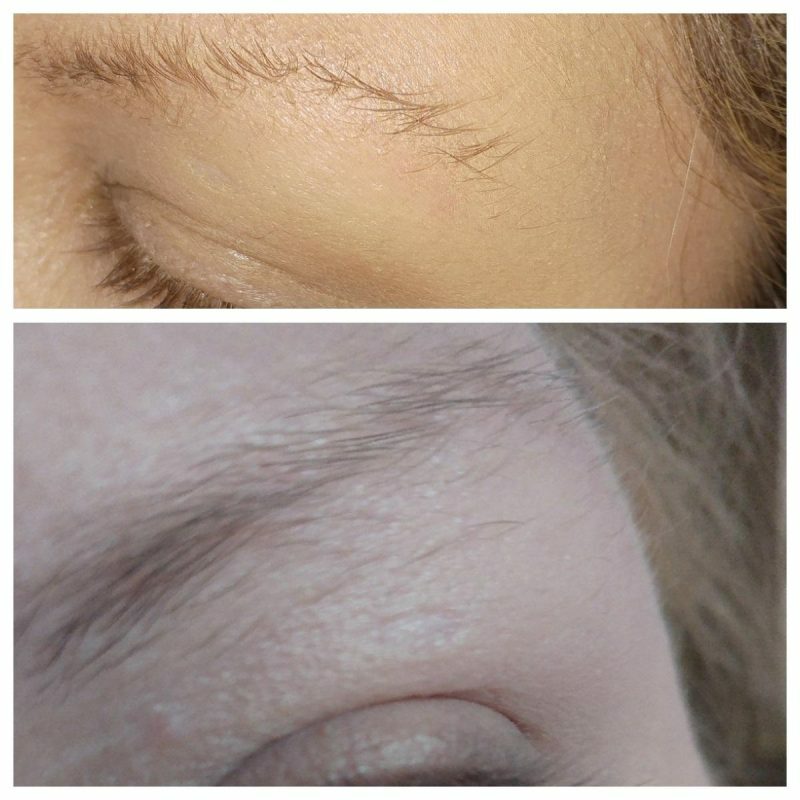 From thick bold brows with sharp lines to people painting a stencil outline on to their brows ready for dye. You know which one I have tried! After a VERY disasterous threading saga, I thankfully turned things around using Rapidlash on my brows to bulk them up. 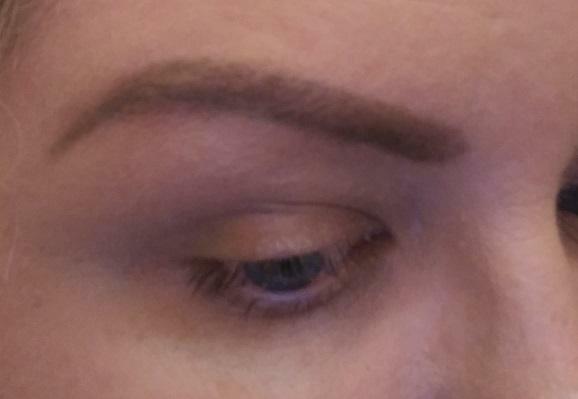 They still looked thin and sparse when I was dying them so I thought nothing ventured nothing gained on the Instagram Eyebrows thing. 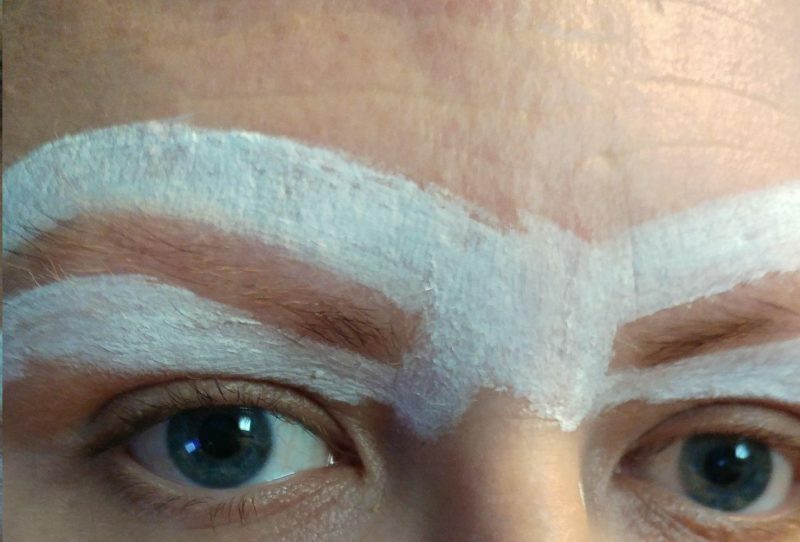 I used a white face paint to block out and sculpt the shape of my eyebrows and it allowed me to play around with them to make sure they were perfect, without the pressure of adding the dye. Adding the dye in to the empty space was just like colouring in. The face paint blocked the dye staining the skin outside of the stencil space and it ensured I covered even the tiniest of hairs in dye. That is the key for brows like mine looking fuller. You need ALL OF THE HAIRS! Even where the dye stains the skin under the brow, it adds to the illusion of fuller brows but you have controlled where that happens. It’s not really that much more time consuming than a regular at home brow dye session but I am most definitely feeling the benefits. Have you given anything crazy a try that you’ve seen on Instagram? 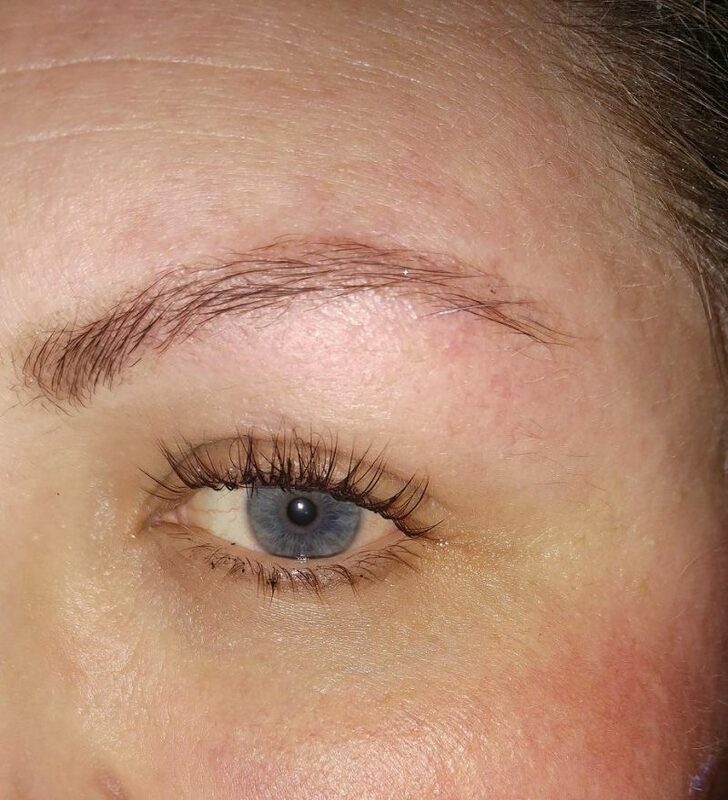 I’d never have thought to use a lash growing product in my brows, seems to have worked on you though!